In case that some programs crashed suddenly on the CCBoot server, please follow the instructions below. 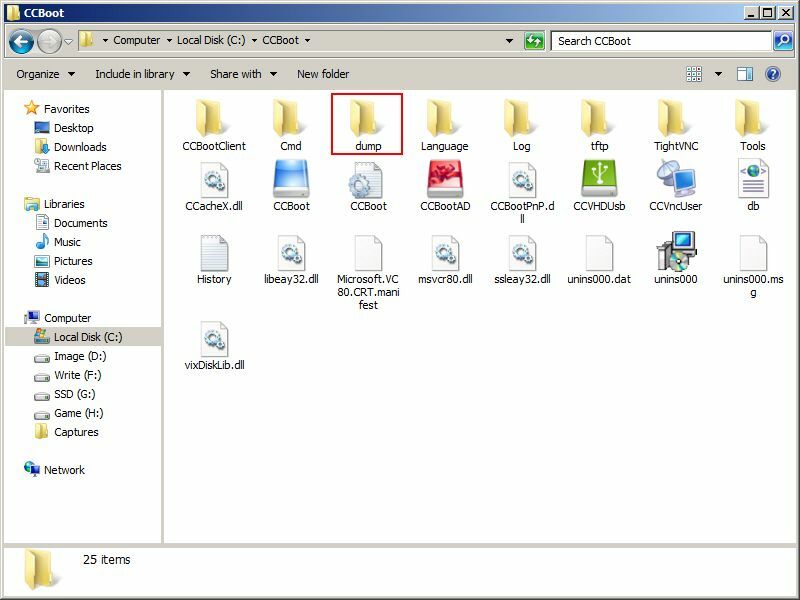 1) In the CCBoot installation folder, open the "dump"folder (Figure 1-1). 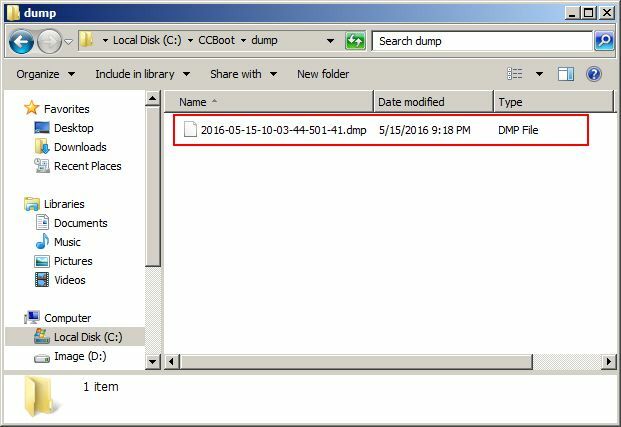 2) In the "dump" folder, check if there are any files whose file extension is ".dmp". If there are, please zip the "dump" folder and send it to support@youngzsoft.net. So our technical person could analyze the folder and find out the problem (Figure 1-2). If the OS version of the server is too low (such as Windows 2000) or simplified, the "dump" file would not display normally, so we cannot analyze the problem well. It is recommended to use the higher OS than Windows 2000.